* Total number of reviews and star-ratings are based on data collected during the time period Kerrygold Plumbing, Inc. has been using the ReviewBuzz system and may not directly match the data found on each public review site. Best plumbing service I've ever had... hard working... knowledgeable... courteous... reasonable prices. Kerrygold was available, timely, clean, efficient, and fixed the problem. They advised what would be needed in the future, and were so appreciative that I thought of them, and gave them lemonade on a very warm day in April, in the Valley! This was the 2nd time I needed a plumber, and I can truly say I will use them again when I need a plumber! Outstanding service. I recently had Kerrygold take care of a job that required digging up an old pipe in my front lawn. I felt confident as they approached the job with care and went out of their way to make sure my lawn would be in solid shape after the job was completed. Marcus and Pierre did a great job and I would gladly recommend their services. I am pleased that Sean found the issue with the water leak and was able to fix the problem. I also appreciate the diagnosis he gave me on my toilet issue. This is my first time using Kerrygold and I am 100% satisfied with my technicians and their work. Marcus and Michael are very knowledgeable and efficient. So polite and super friendly. They actually feel like old friends although I could be their grandma. I'll definitely use them in the future. I'm so glad I went with my gut and called Kerrygold. I have been burned many times when I have had to call for emergency service. 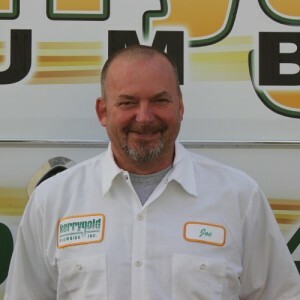 Be it electrical, HVAC or plumbing sewer issues. 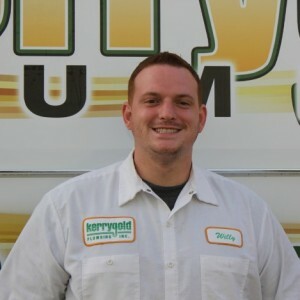 It was a pleasant surprise to have my blocked main sewer line serviced by Sean with Kerrygold plumbing. I called them at 1pm and Sean showed up by 3 pm and were completed the work as quoted for $225. I had previously called Roto-Rooter who tried to have us replaced an underground section of the sewer line for $2,100 or attempt to unclog it for $500. I put Sean’s card on the refrigerator door for next time. Nice work Kerrygold plumbing! It is nice to deal with professional, friendly and FAIR people. Very professional, yet absolutely friendly. Listening to customer's needs and providing absolutely valuable advice and services exceeding expectations. Technician was on time and communicated very well. Spend all time needed to communicate with home office to make sure the best possible service is delivered. Thank you very much. Marcus was professional, honest, thorough, and very nice. Next time I need a plumber I will call Kerrygold and ask for Marcus. I had an issue with a strap missing form a water heater. They gave me a service window and called me 15 minutes in advance of the plumbers arrival. The plumber was a young man named Marcus who was courteous and polite. It was not as easy as it first appeared but he did complete the project on the first visit. Needed a new plumber after previous one of thirty years was absorbed by a huge company that charged huge prices. Neighbor across the street had used Kerrygold and recommended them to me. Willie was here and fixed the problem within 1/2 hour. I have my new plumber for the next thirty years. Had to call twice to get a technician to respond. Although running late, Sean was very good at keeping me updated with his arrival time. 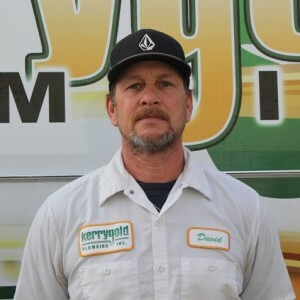 He was very professional and represented Kerrygold plumbing in a highly positive manner. He was obviously under time pressure, but was very respectful of our home and efficiently solved our problem. Sean arrived on time as planned. Quickly replaced main line pressure regulator in front of house. No more leaking water. Thank You. Customer service is always a top priority at Kerrygold Plumbing, Inc.. Our BBB Membership A+ rating is like a badge of honor as we continuously strive to provide the best experience for our clients.